Tech companies are releasing new smartphones almost every month and tech geeks almost go crazy for every single flagship released by Samsung and iPhone. These tech giants reign in the tech industry like they live in the hearts of every single tech lover. If you are a Samsung device user, you will definitely want to use an iPhone to enjoy the different features and developments. That means you will have to transfer all of your old data, contacts, music, notes, messages etc. to your new iPhone. But if you are a newbie, there is a high chance that you don’t know how to transfer contacts from Samsung to iPhone. That’s when you need to read this article! You will be very glad to know that this article will help you to learn how to move contacts from Samsung to iPhone by using the best 5 ways. You don’t have to feel confused or irritated when you need to transfer contacts from Samsung to iPhone. With dr.fone - Switch you’ll be able to transfer contacts from Samsung to iPhone. You can follow some simple and easily understandable steps to transfer your contacts from Samsung to iPhone. It has a very user friendly interface and easy operating process to move contacts from Samsung to iPhone in 1 click. Despite of being a paid tool, dr.fone can solve your data or contacts transfer problem within a very short time. 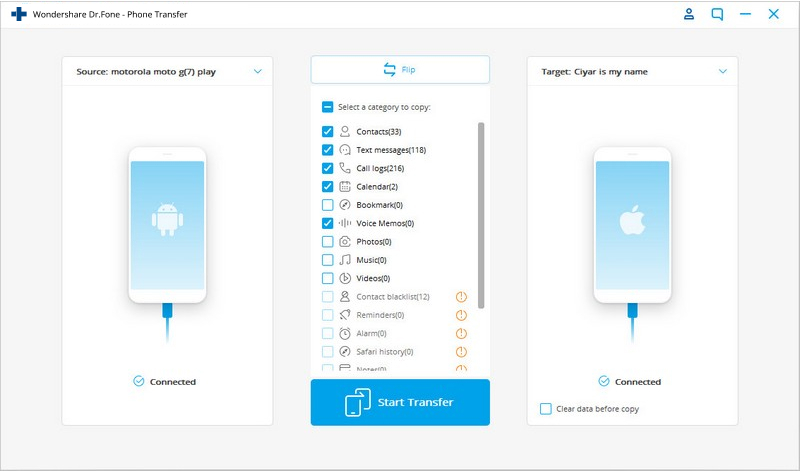 This tool will help you to transfer all of your important data and contacts from a Samsung device to iPhone device. This tool is fast, unique and reliable. It will make sure a zero loss during the transfer procedure. Transfer Contacts from Samsung to iPhone in 1 Click Direcly! Download the proper edition of dr.fone for the operating system of your computer and install the programme on it. Now you can launch the programme by clicking on the shortcut icon from your desktop homepage. You will see the interface of dr.fone here. Now click on the “Switch” option to go to the next step. In this step, connect your Samsung and iPhone devices to your PC by using good quality USB cables and wait till both of your phones are detected by dr.fone. 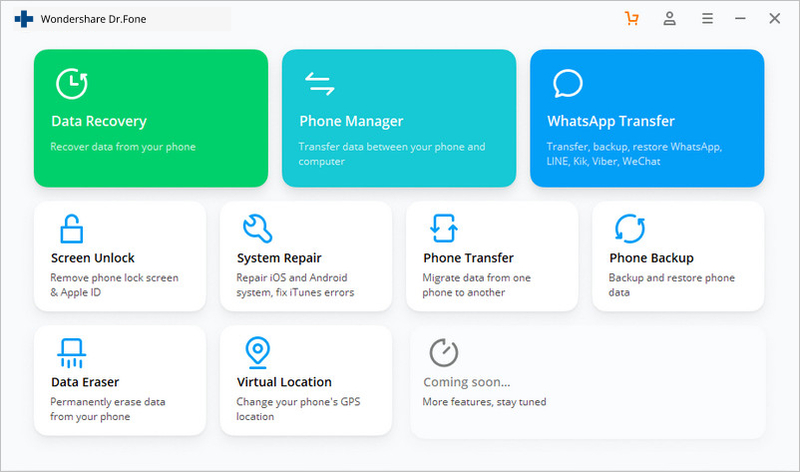 Then you need to check if the Samsung and iPhone devices are properly placed in the right category as source and destination. If they are not placed in right way, click on the “Flip” button to swap and change their categories. Now a list of contents will appear in the middle of the interface. Select the “Contacts” option and click “Start Transfer” to start the process. Now the process will end in some time and then you can disconnect your devices from your pc. You will see that all the contacts have been moved to your iPhone from the Samsung device. First you need to export all your contacts from your Samsung device to your SIM card. Now, go to the “Contacts” option, press the “Menu” button and then choose “Import/Export” option. Now you need to choose “Export Contacts to SIM card” and then mark all the contacts that you need to export. After that, press “Export” and a warning screen will appear, which will ask you if you really want to copy all your contacts to your SIM card or not? You need to choose “Ok/Yes” and all your contacts will be exported to your SIM card. In this step, you need to switch off your Samsung device, remove your SIM card and insert it into your iPhone device. Now you need to almost repeat the same process again. Just go to the “Contacts” option, press the “Menu” button and then choose “Import/Export” option. Here is the different thing to do, you need to choose “Import Contacts from SIM card” and then mark all the contacts that you need to export. 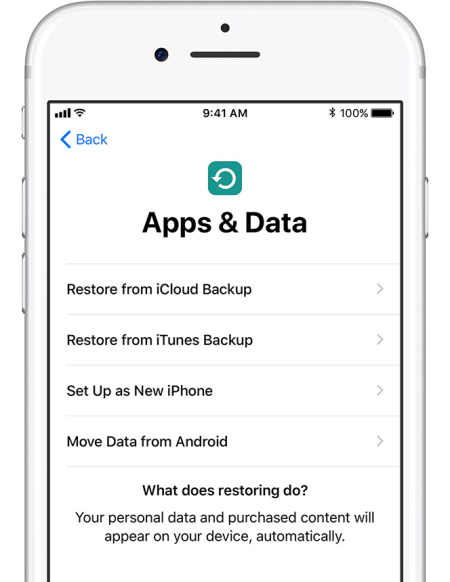 After that, press “Import” and a warning screen will appear, which will ask you if you really want to copy all your contacts to your iPhone or not? You need to choose “Ok/Yes” and all your contacts will be imported to your iPhone in a short time. 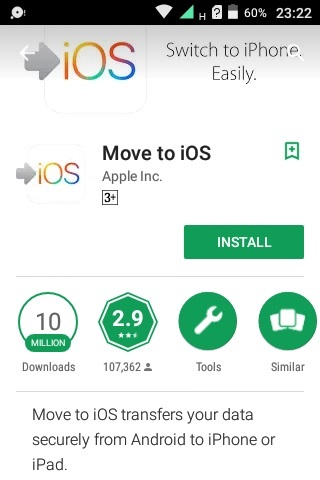 You need to install Move to iOS app on your Samsung device and make sure that the Wi-Fi is turned on. You also need to make sure that both your Samsung phone and new iPhone has enough charge to carry out this procedure. This process will require you to have iOS 9 or later and iPhone 5 or later version. When you setup your new iPhone you will find an option like “Apps & Data”. You need to enter that option and choose “Move Data from Android” option from the sub-menu. At first you need to open the Move to iOS app on your Samsung device and hit the “Continue” button. You will see the terms and conditions page appear. Now you need to accept those terms by clicking on “Agree” and then hit the “Next” button from the top-right corner of the “Find Your Code” screen. You need to choose “Move from Android” option and hit the “Continue” button on your iPhone. You will see a ten or six digit code appear on the screen. 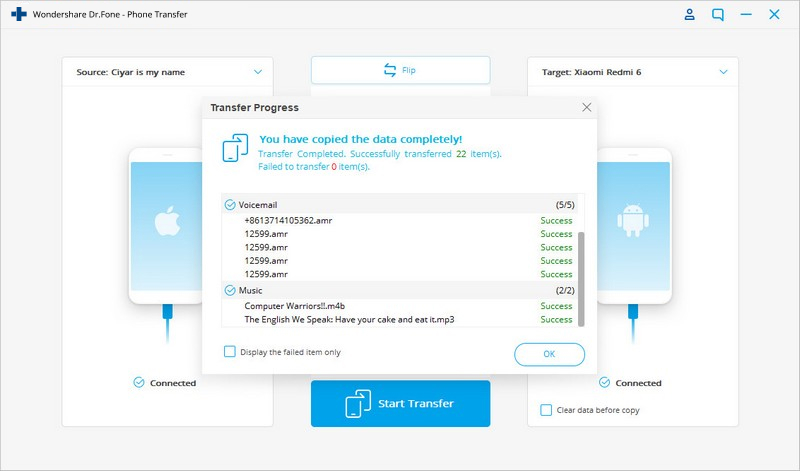 You will have to enter the code on your Samsung device and wait for the “Transfer Data” screen to appear. 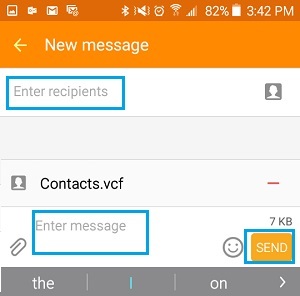 At this step, you need to choose “Contacts” to transfer your old contacts from your Samsung device and hit the “Next” button. If your Samsung device shows you that the process is complete, you need to wait till the loading bar is complete on your iPhone. Within a very short time, the process will be completed. You need to go to the “Settings” option of your Samsung device from the main menu and then go to “Accounts and Sync”. Now you need to choose “Add Account” and then select “Google”. After that, tap on “Next”. In this step, you need to sign into your Gmail account by using your login credentials. It doesn’t matter if you don’t have an old account. You can easily create a new one and then use that information to log into your phone. After signing in you need to select “Sync Contacts” option and then choose finish to end this process. As you have already synced your old contacts into your Google Account using your Samsung phone, now you need to repeat the account adding process to your iPhone device again. 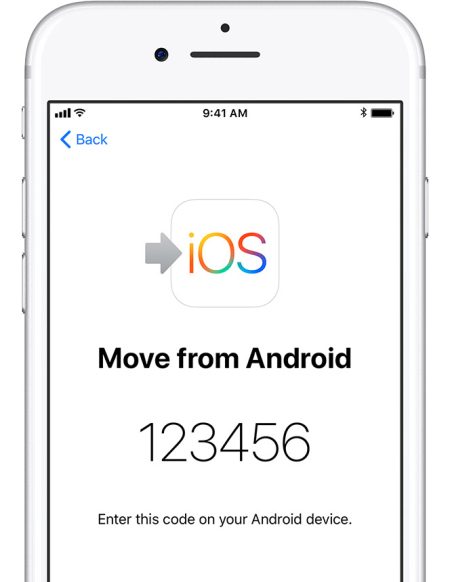 Just repeat the process by following the previous steps and then hit “Sync Contacts” so that it synchronizes your old contacts to your iPhone. Your iPhone device will automatically start showing all your old contacts by syncing with your Google account. First go to the “Contacts” menu in you Samsung device and then from the options choose “Import/Export” option. From here you need to export all your contacts to your Samsung devices internal storage. When you export all your contacts to your Samsung devices internal storage, you will get a single .vcf file. Now go to file manager, select the file and click on the “Share” option which will lead you to attach the file in an email. Send this email to the email address that is configured on your iPhone device. Now from your iPhone, go to the email app and look for the mail that you have just sent from your Samsung phone. After finding it, open the attachment and upload the contacts to your address book. There are a lot of tools out there on the internet that can be used to transfer contacts from Samsung to iPhone. So it’s obvious that you are confused about the facts that how can you move contacts from Samsung to iPhone? Which method is perfect for you? First of all, there is nothing to be confused about. 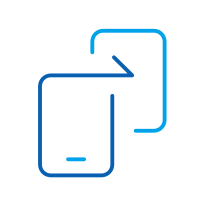 Because if you have read this article, you already know the 5 best ways to transfer contacts from Samsung to iPhone efficiently. But among these 5 methods, you can blindly trust on dr.fone - Switch. This tool will help you to copy your contacts from Samsung to iPhone with its 1 click option. It’s always really easy and simple with dr.fone. Now it seems like you know what to do to transfer contacts from Samsung to iPhone. How to Use Samsung Kies for Samsung Galaxy S5? There are different ways of using Samsung Kies for S5, let us learn about the entire process in right here, in this article. Here are top ways to transfer from ZTE to Android. 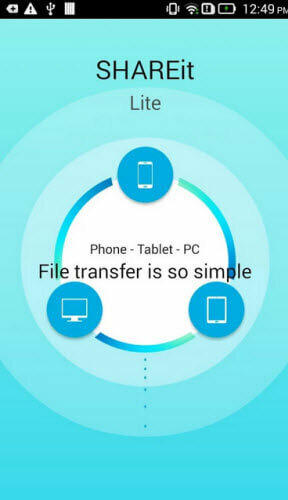 Check them out to know how to transfer data to Android from ZTE.